A daytime info and entertainment talk show airing weekdays at 4 p.m. in Northern Wisconsin. 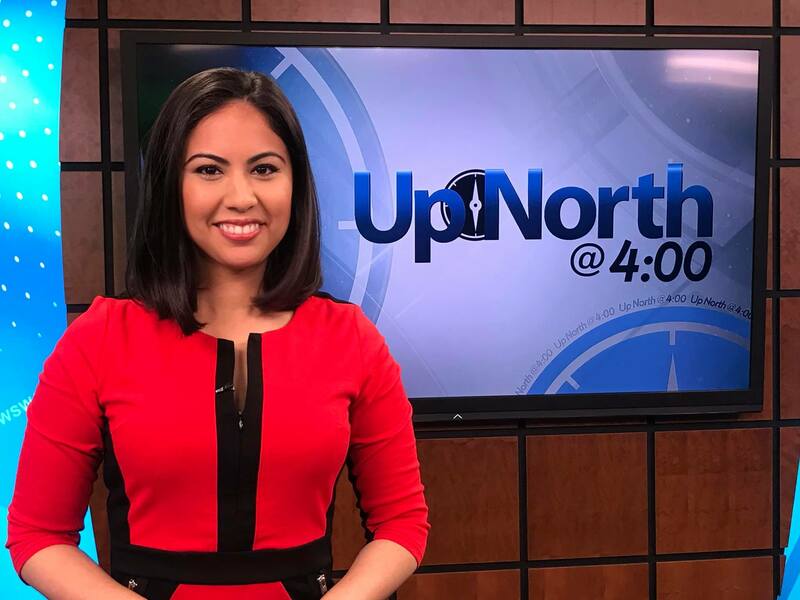 Adriana joined WJFW NBC Newswatch 12 Team in August 2018 as a reporter and anchor. She comes to the Northwoods all the way from California. She grew up in San Jose, and it’s where she, her family, and close friends still call home. But she wouldn’t be where she is today if not for the more than 10 years she spent in Los Angeles, enjoying some incredible opportunities as a young adult. Adriana spent over a decade in the Los Angeles area, where she graduated from California State University, Northridge, with a bachelor’s degree in communication studies. She freelanced for a variety of online magazines and blogs, covering celebrity events, red carpets, charity galas, and much more. Her favorite celebrity interview was with former NBA All-Star Kobe Bryant. In 2014, she went on to found her own blog, where she collaborated with some of the country’s biggest brands. One of her most memorable moments was working with COVERGIRL makeup and representing it at the 2014 MTV Music Awards. Working as a news reporter has been a dream of Adriana’s for a long time, and she is happy she can finally see it unfold here in the Northwoods. She believes her background in online entertainment journalism and reporting played a big part in getting her to Newswatch 12. Now she’s excited to report on news stories that are important to Wisconsinites and the communities throughout the Northwoods. When Adriana isn’t working, you can catch her powerlifting heavy barbells at the gym, cooking healthy, delicious meals at home, or watching a football or basketball game at the nearest sports bar. You can also see her on her social media profiles shedding light on mental health issues, including struggles with anxiety and how to overcome it. She hopes to help and inspire others. Adriana already loves her Northwoods community and would love to hear from you. Email her at amichelle@wjfw.com if you have a story idea or would just like to say hey!